The locals shot up to 31 times on goal for two of the Empoli. To the visitors, the point does not allow them to leave the well and they remain antepenultimate. 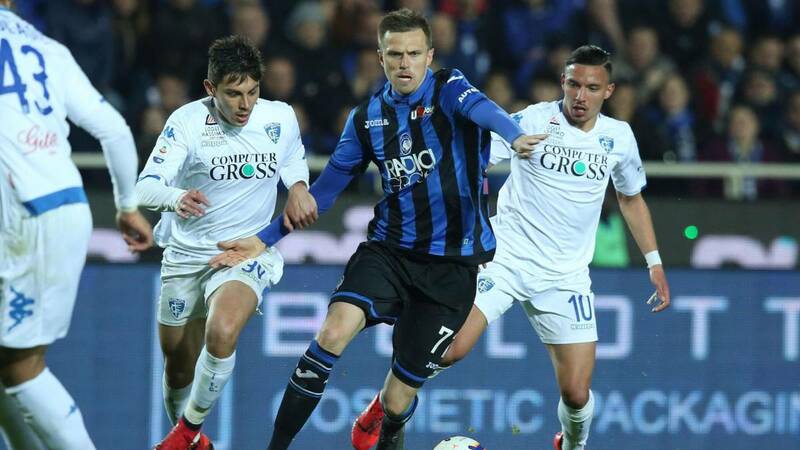 El Atalanta got stuck this Monday and did not go from 0-0 at home against Empoli, in the match that closed the program of the thirty-second day of Serie A, and missed an opportunity to reach Milan in fourth place. The team from Bergamo dominated the game and finished 31 times at goal for the two attempts of Empoli, but collided with an outstanding performance by the Polish goalkeeper Bartolomej Dragowski, decisive with a long series of great stops. The Argentine Alejandro Gómez, the Colombian Duván Zapata, the Slovenian Josip Ilicic or the Dutch Hans Hateboer repeatedly grazed the goal of the advantage, but the wall of Empoli endured and took an important point in its fight for permanence. The final 0-0, the second consecutive for Atalanta after San Siro against Inter Milan, left the northern box in the sixth position, one point behind Roma, fifth, and two of Milan, fourth. It was a setback that complicates the fight for the "Champions" of the team of coach Giampiero Gasperini, that on the next day will visit the field of Naples, second. The Empoli remains second to last, in the descent zone, at two points of permanence.